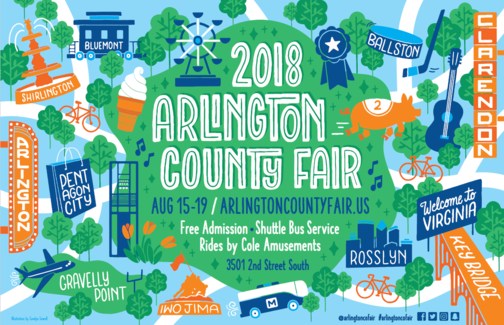 Fight the Bite with "The 3-Ds"
The Arlington County Fair, one of the largest FREE events on the East Coast, has been providing summer entertainment for over 40 years. Starting Aug. 15, you can enjoy competitive exhibits, rides and games, entertainment, food, racing piglets, and more! Admission is free, so join your friends and neighbors at the fair! Shop for books, browse handmade items, or enjoy live music, author talks and fitness classes at The Alcove, a brand new pop-up store, right in the heart of Rosslyn. But hurry — this community space is only around for a limited time! All Orange, Blue and Silver line customers are encouraged to use alternate transportation and to only use Metrorail if you have no other option. Do you know the signs of opioid use? A Disaster. A Bike. How Will You Respond? Want to improve your yard for local birds and butterflies? Receive important County updates on activities, projects and more, by subscribing to any number of our additional e-newsletters.